While out at my brother's baseball game, I took advantage of all the unsuspecting people spectating. 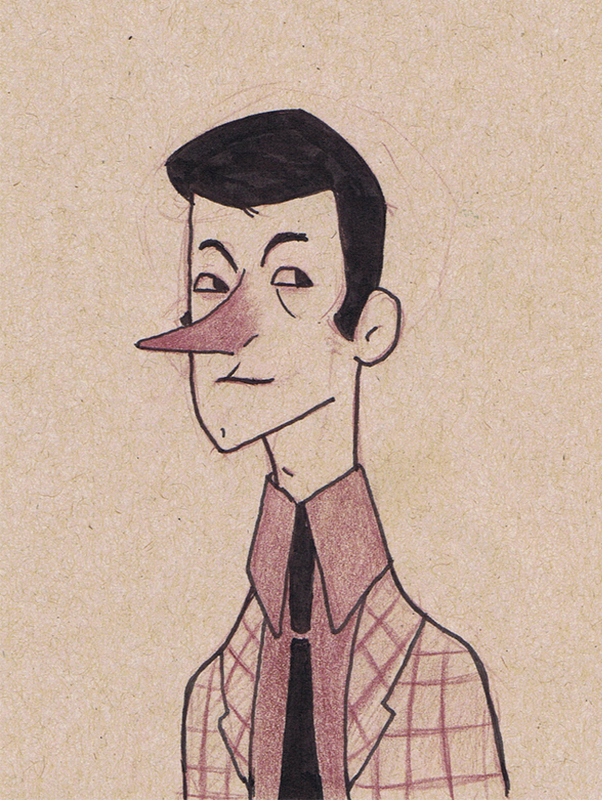 One was a man who looked like he belonged in the 70s'... side burns and tacky jacket and everything! 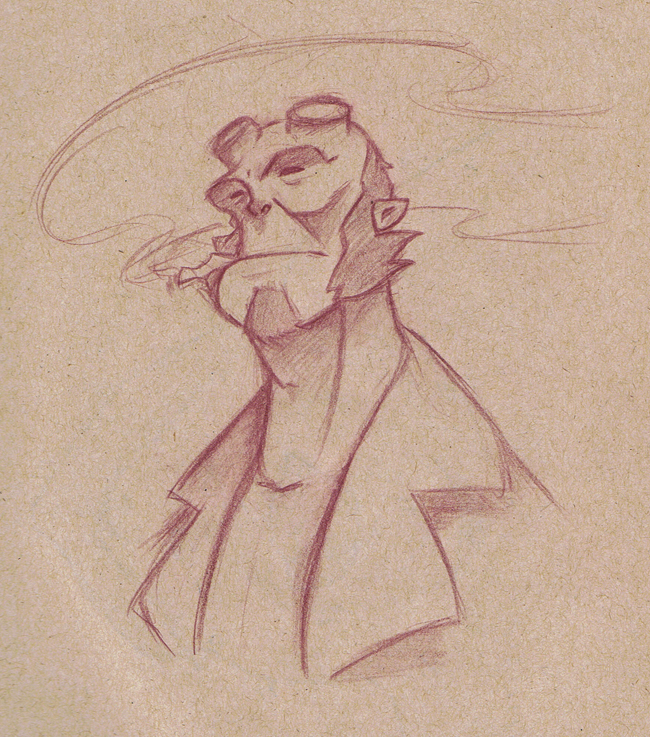 and then I drew Hellboy.